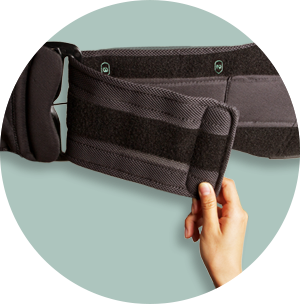 The Horizon™ 637 LSO provides trunk stability and targeted compression designed to support fatigued muscles causing secondary back pain resulting from surgery or injury. 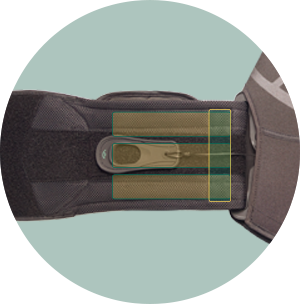 Moveable, rigid side panels provide lateral support and a comfortable environment for healing. One size adjustable, the Horizon 637 LSO comfortably fits waist sizes ranging from 24-50 inches, and up to 70 inches with the extension panels. To further support patient recovery, Horizon braces can be stepped down to the Horizon PRO for treatment of recurring ailments. 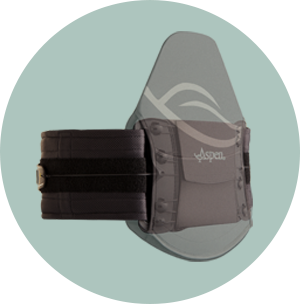 Provides increased lateral control for patients in need of additional support. 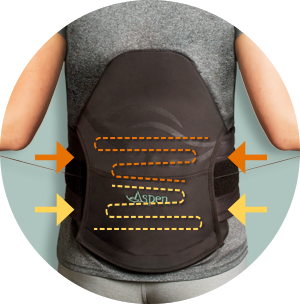 Can be moved where needed or removed if additional lateral support is no longer required as the patient recovery progresses.